One of my favorite games of all time is getting a reboot. The Resident Evil 2 remake was announced last year, but not many details have been released since then, which has created a strong itch in all the fans. 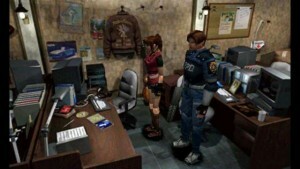 However, the game’s producer Yoshiaki Hirabayashi said he intends to “recapture the spirit” of the original Resident Evil 2. If he is successful in his goal, this is one fan that is excited. Hirabayashi, who also produced the remake of the first game, said making the first remake was “an incredible learning experience.” He says the Resident Evil 2 remake is “progressing.” I’m not a fan of that word. When I hear progressing, I think it means they’ve run into problems whether it is technical, story issues, or problems with the designers. I thought the remake of GameCube Resident Evil was outstanding. It had some issues with lagging graphics and the confusing controls, but overall a technical masterpiece. If they do just as well on Resident Evil 2 remake as they did on the first, then it will be the game of the year for me. Hirabayashi also went over the Resident Evil remake with an HD remaster, which included the programming, the game’s pacing (which I think might have played a part in the lagging graphics), and the audio-visual assets. The HD remaster will be applied to the Resident Evil 2 reboot with additional improvements. The one thing I’m nervous about is Hirabayashi did not say if the reboot will keep the original Resident Evil 2 fixed camera angles or use the now popular third-person view. I loved the fixed camera angles, and I really hope he meant when he said he wants to “recapture the spirit” of the original game, which I think would include the fixed camera angles. In the video below (which is a walk through of the GameCube Game) you can see how the fixed camera angles affects the story. As of right now the remake of Resident Evil 2 has no release date or what platforms it will be released on. Bookmark this site because once I receive news of the release date it will be posted. You better believe I will have a review on the same day the game is released.